This should give us an idea of how high up the Model 3 will be able to be spec’d. Elon Musk will have a serious problem if the Model 3 ends up being too good. In fact, most modern goods, cars included, are built with internal time bombs of sort, planned obsolescence that’s designed to cause a product to break or become useless so the consumer has to buy another. Even if the the Model 3 is built with this in mind, whatever it does, it cannot overshadow its bigger brother, the Model S. On the other hand, the Model S has been Tesla’s bread and butter sedan for years. The carmaker did what it could to make it affordable to all who wanted one, including building a rear-wheel drive, 75 kWh Model S that it sold for $69,500. Though the Model 3 will start at $35,000, it wouldn’t be too surprising if a fully loaded spec was within earshot of that Model S, so to further differentiate the two cars, Electrek is reporting that Tesla will kill off the rear-drive Model S 75. Strange as it sounds, the move is actually done in order to protect the Model S from the rampant sales frenzy the Model 3 is supposed to cause. 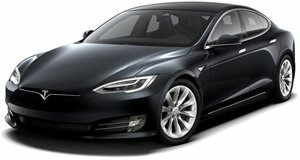 Buyers interested in the Model S 75 still have a shot at getting one, but haste is recommended as the model will be discontinued by the end of the year. If Tesla doesn’t add another rear-wheel drive model to replace it, that would effectively be the end of rear-wheel drive sedans in the Tesla lineup until a two-wheel drive Model 3 is out and about. Once the Model S 75 is gone, the next cheapest Tesla will be the $74,500 all-wheel drive Model S 75D. If your dream car was a rear-wheel drive Model S (what, you don’t like Ludicrous Mode?) then fret not because although Musk may have taken away your dream toy for now, Tesla isn’t exactly known for being the most consistent guardian of the model establishment. It's constantly changing its lineup, having recently canned the cheapest Model S it had ever made, the Model S 60. Then again, the Model 3 will change everything, even Tesla's habits.